The Joy Jar – Nicole Collier Harp, Ph.D. 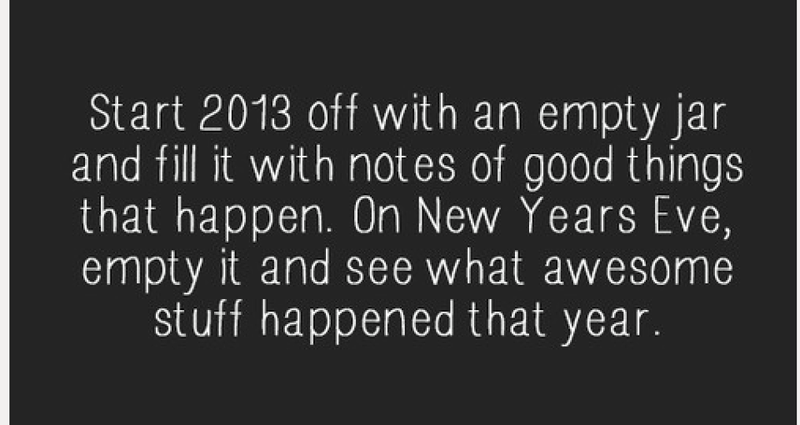 In 2013, I shall fill my joy jar to overflowing. No victory is too small, and every joy is worth documenting. Attention brings awareness to the joy already present in daily life. Look around in wonder and with a grateful heart. It’s not a race to fill up the bowl. Quantity and quality are not mutually exclusive. I shall celebrate every milestone. Every victory. Every inspired moment. Every single one. I shall count joys early and often, and in so doing, accumulate all the more. Wishing you peace, love and joy in 2013. Great idea. I’ve seen a few notes about this. I will create a jar and join you. Lots of victories are in store for both of us…I’m sure of it. As you know, an attitude of gratitude gives us more to be grateful for. Thanks for posting , and thanks for the reminder.